Do you want to add a hot tub to your yard without breaking the bank? A blow-up hot tub is a great solution. 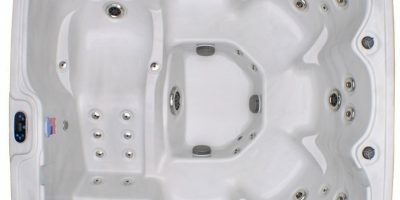 They offer almost everything that a permanent hot tub does but at a lower price and with the added convenience of portability. BOTTOM LINE A lot of value for a great price Mid-range large spa with a lot of powerful jets. Premium inflatable spa for couples! Coleman is a trustworthy name, best known for making camping equipment. This portable hot tub is made with a puncture-resistant 3-ply reinforced material and I-beam construction for sturdiness. An air pad cushioned floor helps with both comfort and insulation. The digital control panel is easy to use and getting the hot tub set up is simple and fast. 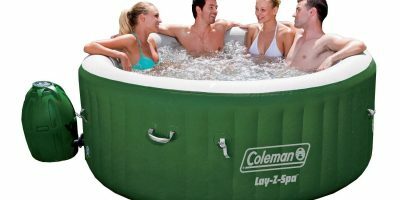 This Coleman hot tub offers a lot of value for a great price. It’s not the best inflatable jacuzzi out there but it will be good enough if you don’t have much to spend. 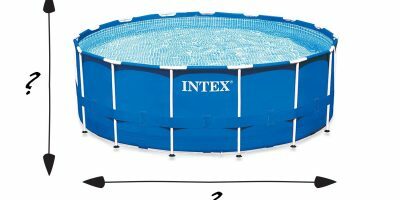 Intex is a leader in the inflatable hot tubs market and this is one the best ones they make. It’s convenient for both storage and transport thanks to the fast deflation time and the included carrying case. 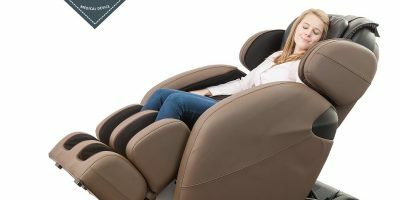 It has high-powered jets for massage-like relaxation. Optional back rests and colored underwater LED lights are included as well. There is a lot of value in this mid-range inflatable jacuzzi from Intex. It is large, easy to use, and has a lot of powerful jets. This inflatable hot tub has a unique shape that makes it ideal for a couple to enjoy together. The idea of a luxurious spa retreat is so exciting. The SaluSpa Siena is an ideal escape from a tiring day at work as it helps relax sore muscles and is perfect for spending some quality time with your partner while experiencing a soothing massage alongside. It is lighter than other inflatable hot tubs in the market, which makes it an easy to move around. While not quite comparable to an actual Jacuzzi, it provides comfort because of its unique oval shape and can be placed outdoors or indoors. Can be delivered curbside. Prior third party arrangement required for direct home delivery. Most buyers on Amazon love it as a mini pool especially for couples, while many others compliment it for the padded seating and space to stretch out. A common complain most customers have is that it takes a few good hours to heat up water and the pump is kind of noisy at times. Premium inflatable spa for couples! With space for up to 6 people and a colorful light show, this one will help you and your friends party all night long. It also rates among the most favorite hot tubs. Perhaps most importantly, the lower price points of inflatables are just really attractive. Before the blow-up hot tub was an option, buying a spa of your own meant laying down a hefty sum of cash. Inflatables are generally very affordable. Inflatable hot tubs are also much more portable than a solid, pre-fabricated hot tub. It’s entirely reasonable to take the hot tub with you from location to location or even from outside to inside. This is also a great option if you only want to use the hot tub seasonally. You can save on heating and maintenance costs by packing it up until the next year. Comfort is another positive with inflatable hot tubs. They don’t typically have the built-in seats that you’ll see in solid hot tubs, but they do tend to have a bit of cushion. Inflatables are surprisingly sturdy, but they still have just enough of the cushiony feeling you might expect from something filled with air. Inflatable hot tubs have some strong pros, but there are also some definite disadvantages. These are mostly centered around heat. Most inflatable hot tubs will reach a good temperature but they tend to take a lot longer to reach that temperature compared to a solid hot tub. This will result in a higher electricity bill. A major reason why inflatables take longer to heat is that they experience more heat loss. Inflatables don’t tend to have much insulation. This means that you’ll be losing heat more quickly which means it will take more energy to heat up and maintain that temperature. The cost of electricity varies widely by location, but it averages around $0.10 per Kilowatt Hour. The more heat you lose means the more energy has to be expended to maintain the temperature you want. Things like hot tub covers or blankets will help you trap heat inside the hot tub so you won’t have to use quite as much energy to get back to your goal temperature. The cost of heating inflatable hot tubs can be anywhere from $20 to $100+ each month, depending on the particular model and how much you use it. Which of these matters most to you? Inflatable hot tubs can be a good investment. Each of the hot tubs on this list has something to offer. To choose the right one for you, consider what you can afford and think about what features matter most to you. Make sure to consider size and capacity.